Sy-energy Consultants, a firm which caters to the comprehensive needs of the customers in the renewable energy space was founded by Mr. Navratan Katariya in April 2014. It originated after 2+ decades of his industry experience, with two prime aims: create a mature ecosystem by building capability and catalyze improvement in technology, engineering and execution practices. Based out of Bangalore and partners in Mumbai, New Delhi and Jaipur, Sy-energy offers consulting services and solutions in the realm of renewable energy. Starting from project conception to project execution and moving on to offering advice on Operation and Maintenance aspects, Sy-energy recommends cost-effective and quality solutions. Navratan’s tryst with solar energy began much before he joined his Electrical Engineering in 1980 at Malaviya National Institute of Technology, Jaipur. • An Electrical Engineer with Masters in Energy Systems from IIT, Mumbai and an MBA, Navratan has over 28 years of experience, mostly in solar PV and wind. • Navratan has been instrumental in the establishment of more than a dozen new businesses and profit centres across the country. • Successful setting-up of a new solar business vertical at Sterling and Wilson, made it, in a span of 2 years, to the 1st position (in terms of no. of projects and geographical coverage) and 2nd position (in terms of PV capacity, at 120MW) in India. • Fellow of the Salzburg Global Seminar institute and a Certified Trainer for GRIHA (Green Rating for Integrated Habitat Assessment). • Consultant at Statpower, Canada (now Schneider Electric) and CEO CIGS thin film module manufacturer. • Navratan’s passion encompasses the renewable energy gamut of solar PV, thermal (heat and refrigeration) and wind. • Instrumental in bringing in wind turbine technology transfer from WEG, UK to India for Kirloskar Electric Ltd.
• Globe Traveler and an eminent speaker at many seminars. 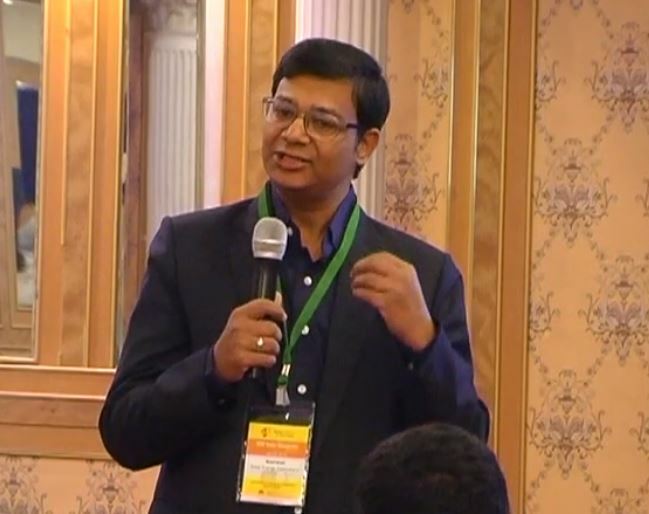 Navratan’s passion for energy conservation and his commitment to the planet led him to establish a not-for-profit carpool in Bangalore in 2000. Navratan also devotes time to enhancement of life skills amongst engineering students and mentors many start-ups.